Reynolds Funeral Home announces with deepest sympathy the passing of Mrs. Bertha Lee Harney, 80 of Belle Mina, AL. Mrs. Harney died March 17, 2019 at the Decatur General Campus of Decatur Morgan Hospital. A Celebration of Life Service will be held on Saturday, March 23, 2019 at 11:00 a.m. at Jerusalem P.B. Church in Belle Mina, AL with Elder William Tyes, officiating and inhumation in the Oakland Cemetery. The body will lie in repose one hour prior to the service. Public viewing will be Thursday, 3:00 pm - 7:00 pm, and Friday, 10:00 am - 7:00 pm at Reynolds Funeral Home. Bertha Lee Harney (Bunky) was born August 3, 1938 to the late John Harper and Annie Mae Hunter Harper of Limestone County, Alabama. 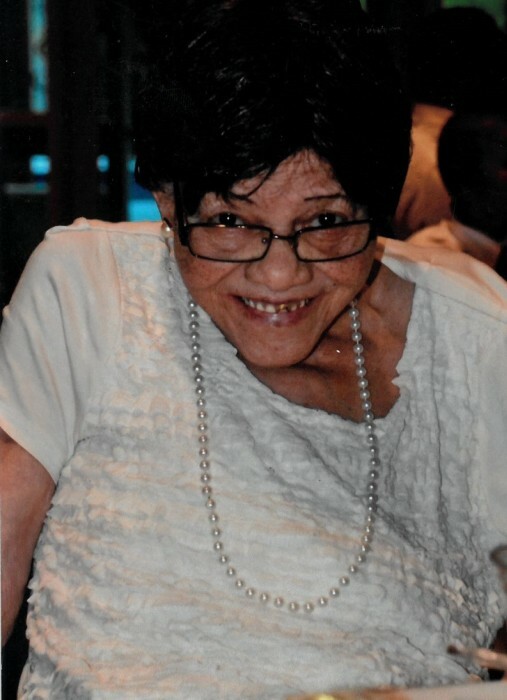 She departed this life on March 17, 2019 at the Decatur Morgan Hospital. Bertha accepted Christ at an early age and attended Jerusalem Primitive Baptist Church for over 45 years. She was united in marriage to Charles William Harney and to this union two children were born. Bertha was a caregiver. She loved to fish, visit with friends and going to Walmart. She was preceded in death by her parents; three brothers, Henry Louis Harper, Eddie Harper, and Larry Harper; two sisters, Percy Mae Carthen and Annie Elizabeth Harper; one son, Charles William Harney, Jr.
Bertha leaves to cherish her precious memory: two children, Linorise Thatch (Tommy) Crear and Delois Harper of Decatur; three grandchildren, Sabrina (Michael) Gladney of Decatur, AL, George Thatch of Huntsville, AL, and Gary (Kristy) Thatch of Harvest, AL; seven great grandchildren; three nieces, Barbara Gibbs, Catina Lampkin of Decatur, AL and Kimberly Walton of Decatur, AL; and a host of nieces, nephews, other relatives and friends. Pallbearers and Flower Bearers will be Church Members and Friends.